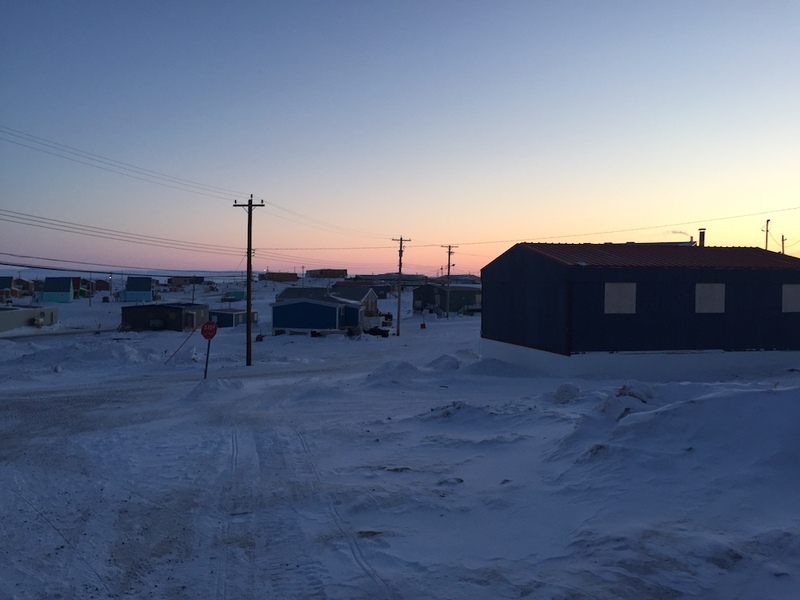 Welcome to another installment of my guest post series, “Offbeat Travel.” This time, I bring you Dawn Nicholson of 5 Lost Together who is sharing her experience in a tiny town called Taloyoak in Northern Canada’s Nunavut territory, located in the Arctic Circle. Read on below! My home country of Canada is a very popular travel destination, especially this year when we are celebrating 150 years as a nation. 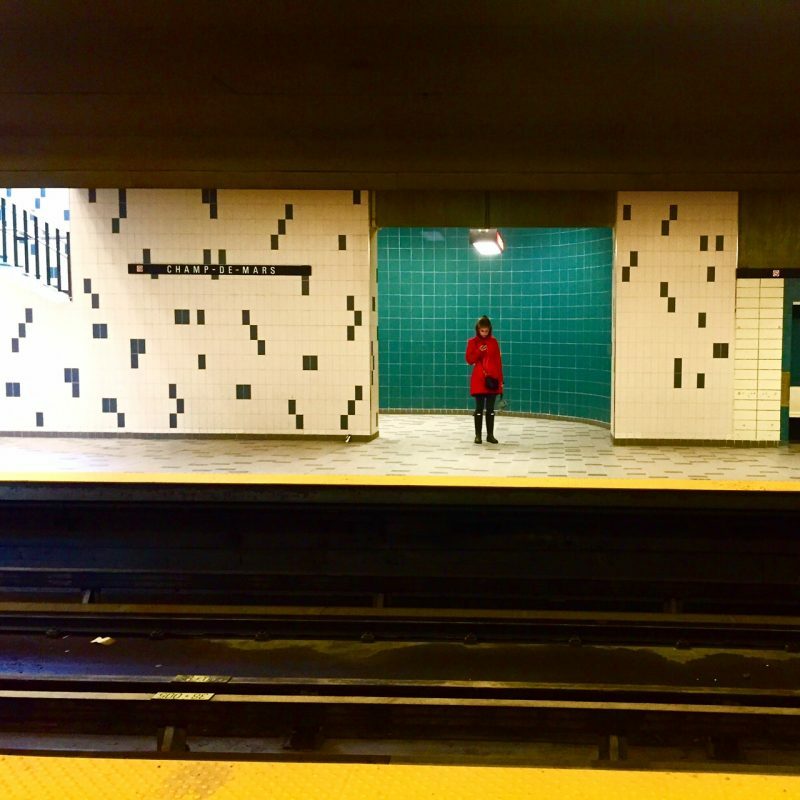 Most travelers are overwhelmed by the sheer size of Canada, which can make it difficult to see the varied regions, from the Canadian Rockies to the vast Arctic regions. Since most Canadians live around the 49th parallel, near the US border, this is where most tourists spend their time. However, the majority of Canada’s land mass is sparsely habited wilderness that few travelers get to see. I was lucky enough to visit a small community in Nunavut as a teacher accompanying high school students on an exchange last year. This allowed us unprecedented access to the community and people as we were guests, not tourists. I feel so fortunate to have been able to visit this remote part of Canada and most importantly to learn about the Inuit people and culture of Canada. If you do find yourself in a remote Canadian Arctic fly-in community, you will be rewarded by some truly unique and fantastic experiences. It is surreal to look out over the landscape and take in the Arctic permafrost. Since you are above the tree line, the horizon of white stretches on indefinitely. With no noticeable landmarks outside each settlement, it is a wonder how the Inuit navigate the land. The Inuit are the indigenous people of the region and have lived in this harsh environment for thousands of years. The Canadian territory of Nunavut was created in 1999 as part of a lands claim process between the government and Inuit people. While the Inuit no longer live a nomadic lifestyle in igloos, the culture is being carefully preserved. Elders in the community are revered and play an important role in maintaining traditional ways. 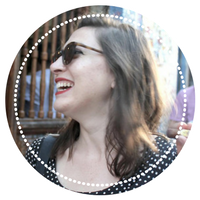 It is interesting to see the blend of modern society and traditional ways in the community. Traditional clothing made of sealskin and furs are sewed carefully be the women of the community. Hunting, ice fishing and going out on the land are important parts of life here still. 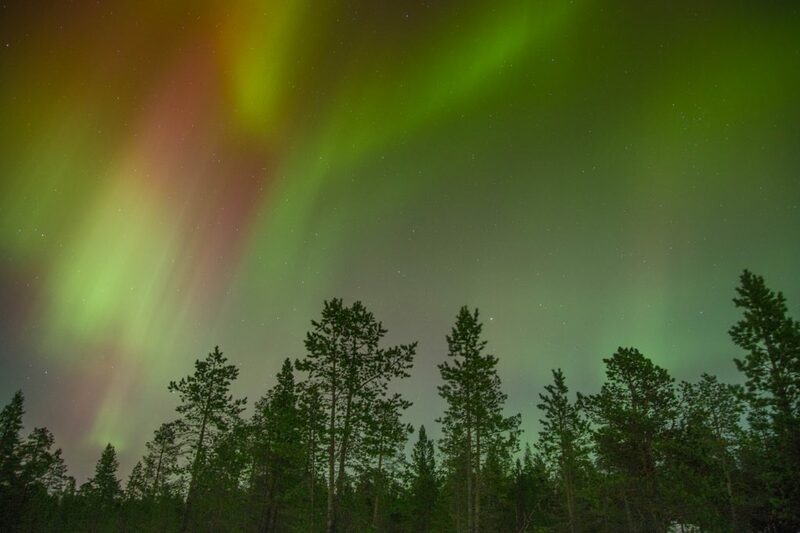 The Northern Lights or Aurora Borealis is on most people’s bucket list. 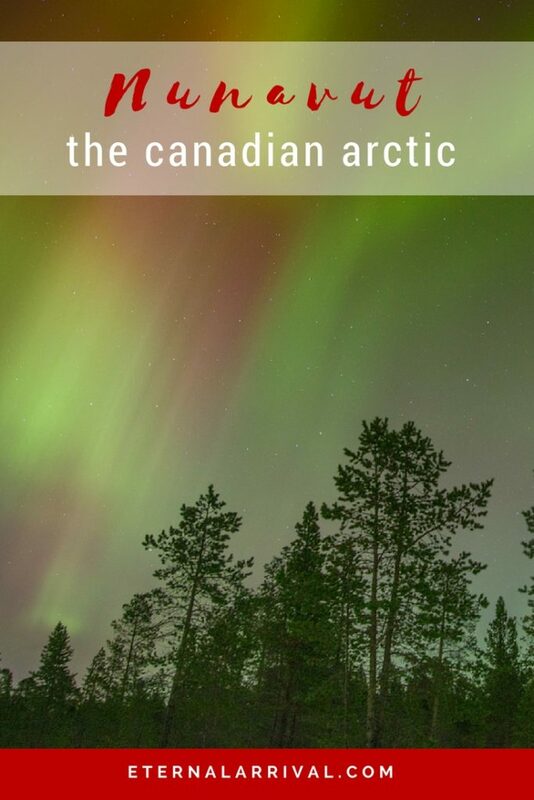 You actually don’t have to travel all the way up to Nunvaut in the Canadian Arctic to see this amazing phenomenon. There are many places in northern Canada to view them during the winter months. In fact, below the Arctic circle is often thought to be better for viewing than above. Seeing the Northern Lights will require some patience to get the conditions just right. For centuries, the Inuit have lived off a diet rich in meat and fat to sustain them through the extreme winters. 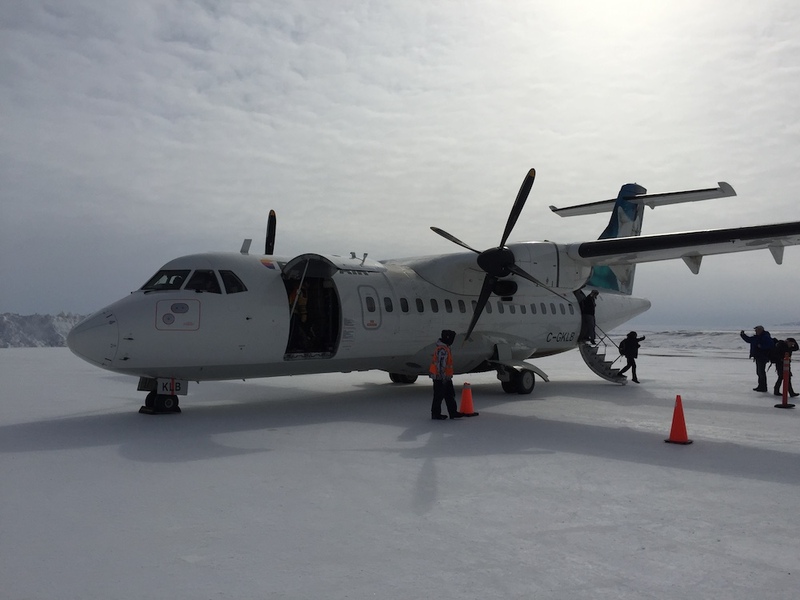 Packaged food and fresh vegetables are now flown in regularly, but traditional foods still play an important role in Inuit communities. Arctic char is a delicious fish that is a popular staple in the Arctic and is often eaten raw or in a stew. Caribou and musk ox are also popular and easy for visitors to sample. For the more adventurous eaters, you can try seal and even polar bear. 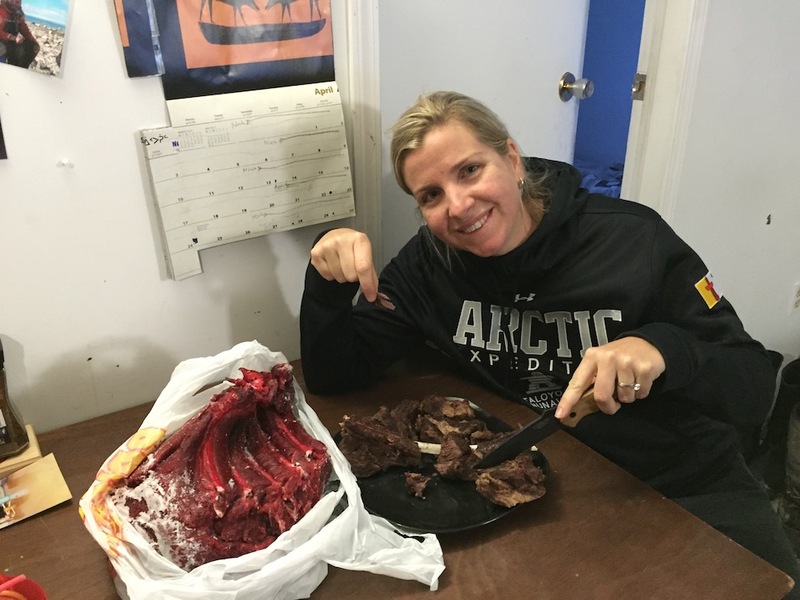 It may sound barbaric eating these animals, but Nunavut’s small population and careful quotas show that it can be done sustainably. 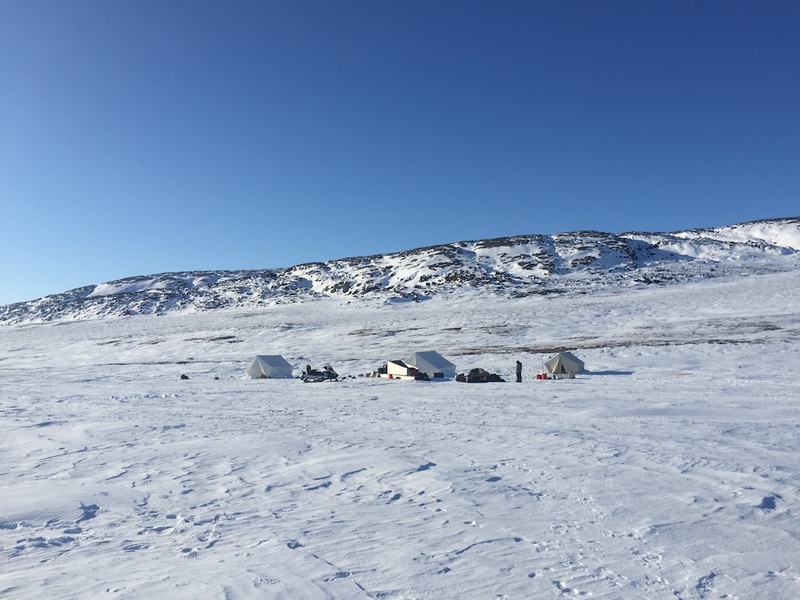 I visited in May and when we went ice fishing the ice in Nunavut was still over 2.5 meters deep. The Inuit are skilled at using augers to drill the holes for ice fishing, but they still use a simple dowel with line and hook. 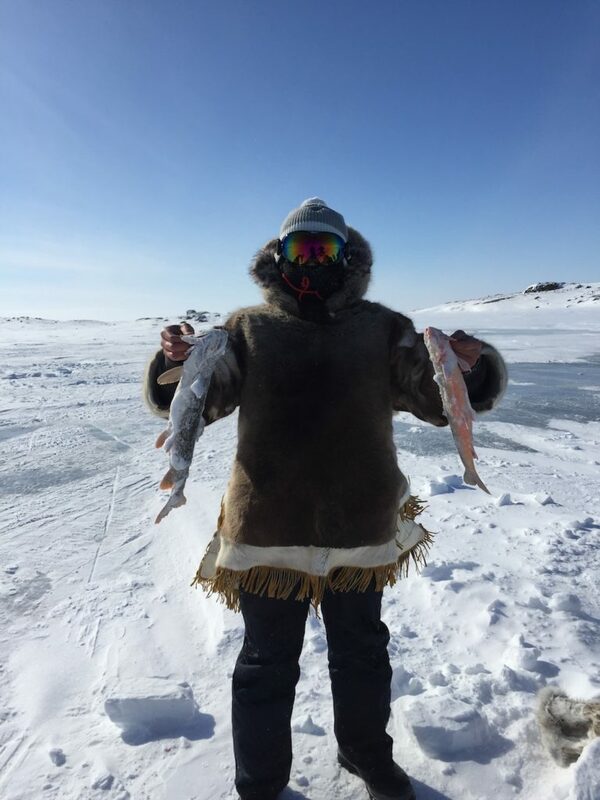 Ice fishing requires a lot of patience, so make sure you come prepared with hot drinks and very warm clothes. Days where the sun almost never sets makes you realize how close to the North Pole you are in the Canadian Arctic. There is something about watching the sun set at 1 am in the morning over the frozen tundra that is simply magical. It can be a challenge to sleep in the “summer” months and blackout blinds are a must. Likewise, in winter you will need to be prepared for hardly any daylight in Nunavut. Be sure to pack warmly and include plenty of winter clothes! Conditions are extremely unforgiving and harsh in the Canadian Arctic and it takes winter camping to a whole new level. 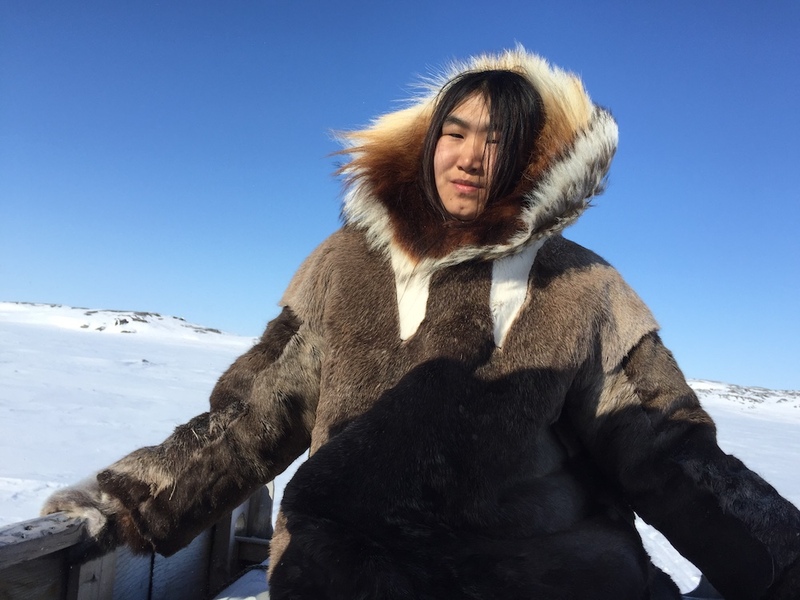 With Inuit guides, camping out on the land is a truly unique experience. 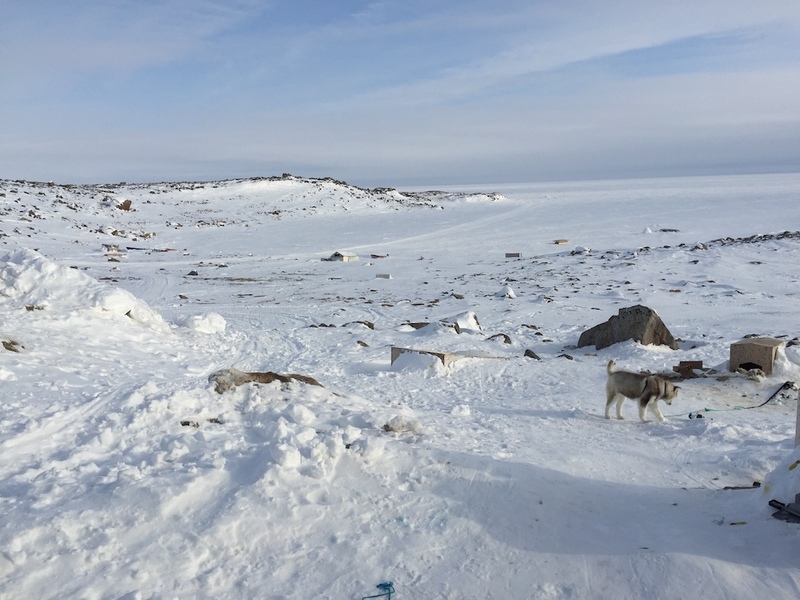 Historically, the Inuit have used dog sled teams to move around on the land. 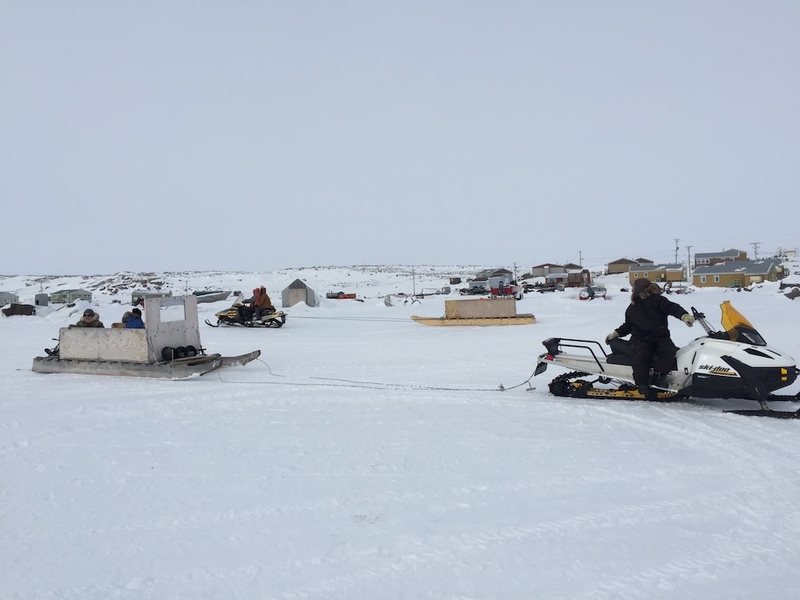 Now, they use snowmobiles and kamatiks, a sled that is pulled by a snowmobile. Igloos are symbolic of the far north of Canada and for hundreds of years been used to create homes and shelters out of compacted snow. Building an igloo takes an incredible amount of skill to construct. They are exceptionally strong and provide excellent protection from the cold and wind. 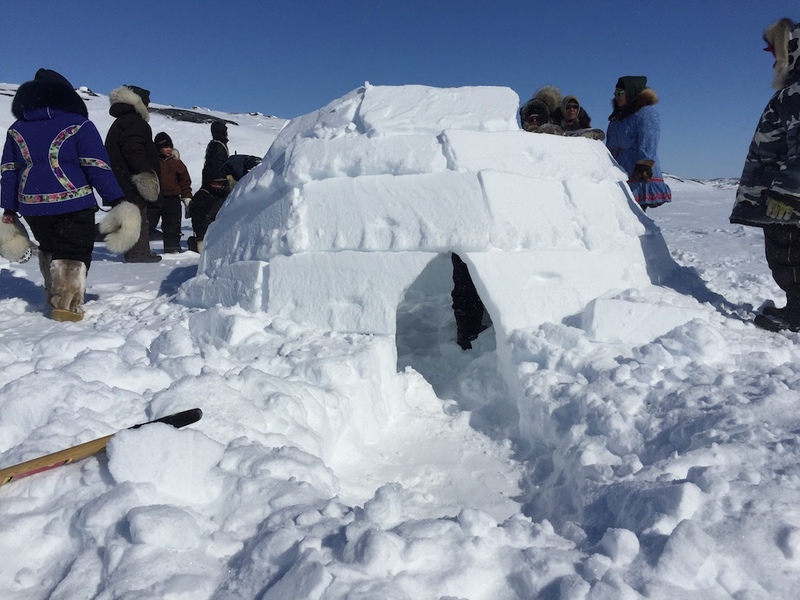 The Inuit no longer use these for housing in Nunavut, but are working on passing this tradition down to the next generation. Polar bear tours are very popular from Churchill, Manitoba and in the Spring you can even see newborn cubs. Further north, you can see migratory animals like caribou, musk ox, belugas and narwhals. Unfortunately, since we didn’t do any tours in Nunavut, the only wildlife we saw were skins and furs. An Arctic trip is almost impossible to do independently and will require booking a tour to be able to experience these Arctic highlights in Nunavut. Entry points to the Canadian Arctic are Yellowknife, Iqaluit, and Churchill. There are small cruise ships that travel into the Northwest Passage in the summer months and visit a number of wildlife hotspots and Inuit communities. Be prepared to spend some money to reach this remote area of the world as flights and tours are not cheap. However, you will be getting to see an area of Canada that few people have seen and experienced.